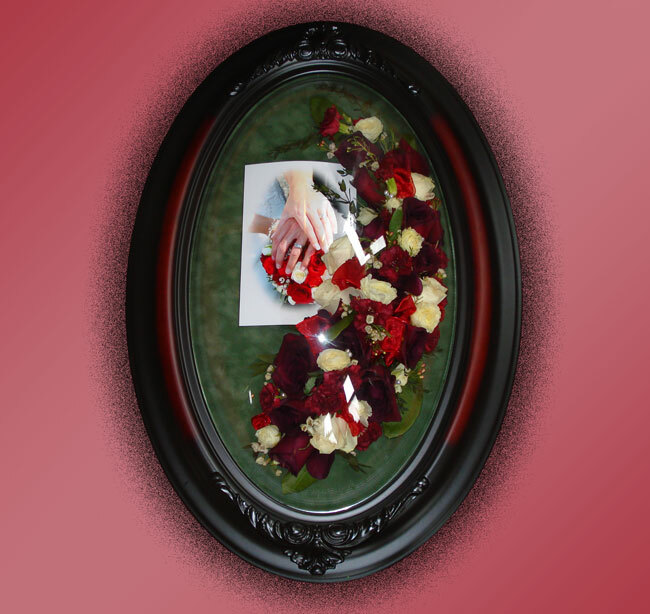 Click on the thumbnails to see a larger picture of the finished arrangement. On the larger picture scroll down toward the bottom to see any comments I have added about the item. Follow and click the “<<” and “>>” also at the bottom of the large picture to stay in the “large mode” of the gallery. Click on the large picture again to make it go back to the original thumbnail gallery. 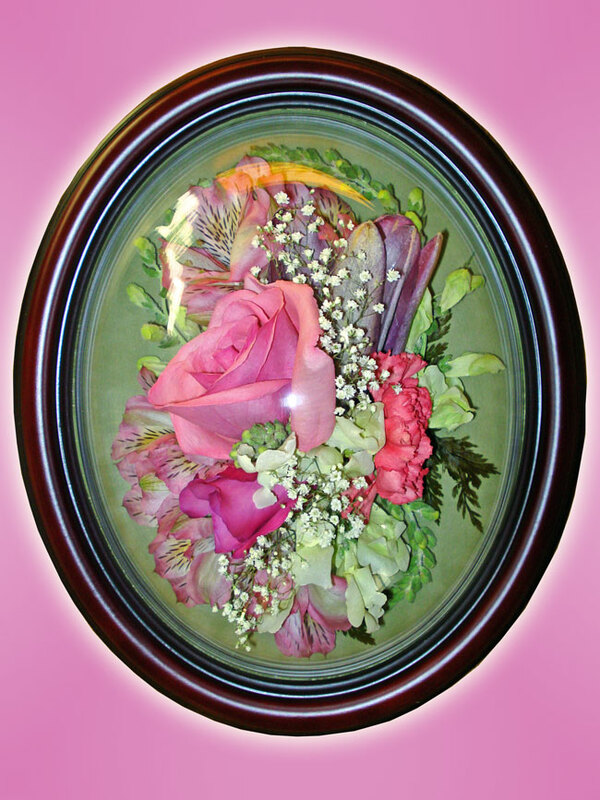 Many call my shop inquiring about Freeze-Dried floral preservation after seeing pictures in magazines. Though it is a method of preservation, it is not the technique that I use. My expertise is dried floral design and my preservation of choice is to use Silica Gel. All methods, when done well produce a lovely end result. 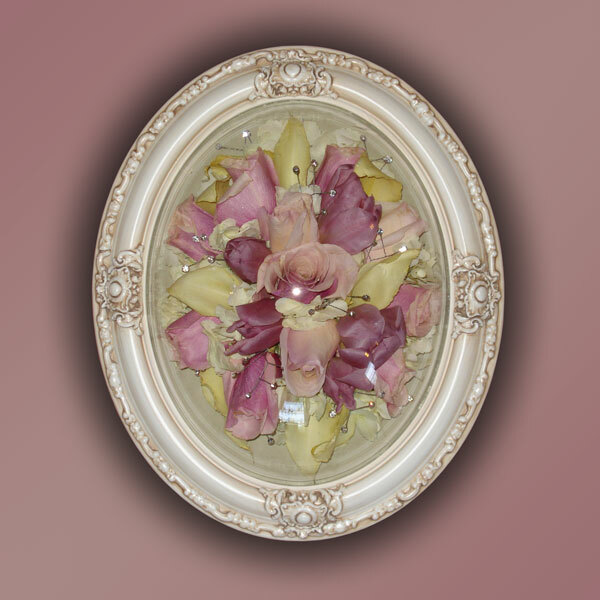 Be informed when you take your flowers to be preserved and you will not be disappointed. I’ve only begun to realize that the craft of silica drying can produce a beauty that will cause you to look twice wondering if the flowers are fresh. Is it fresh or freeze-dried or silica dried? Hmm…when done by a professional………who can tell? I think my gallery speaks for itself. Please feel to browse and see for yourself. 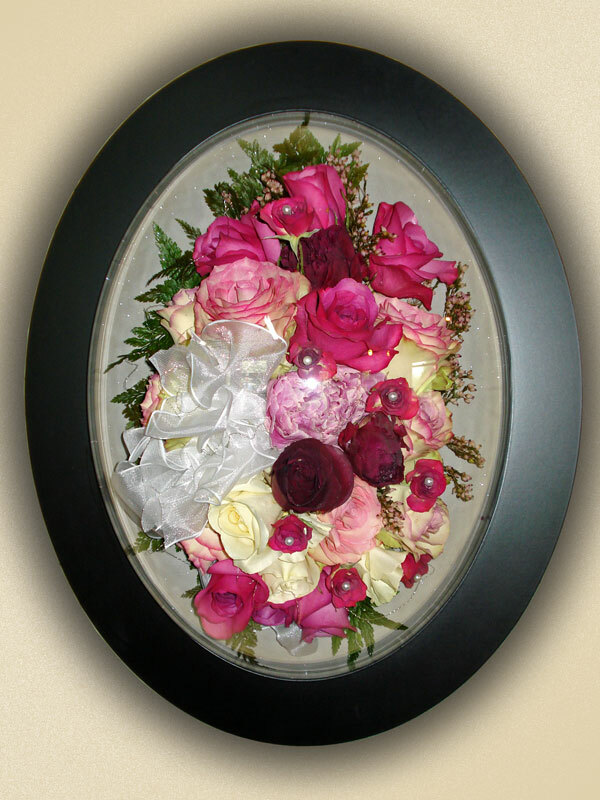 Flowers need to be delivered to Anne Bruening Originals as soon as possible following your event. 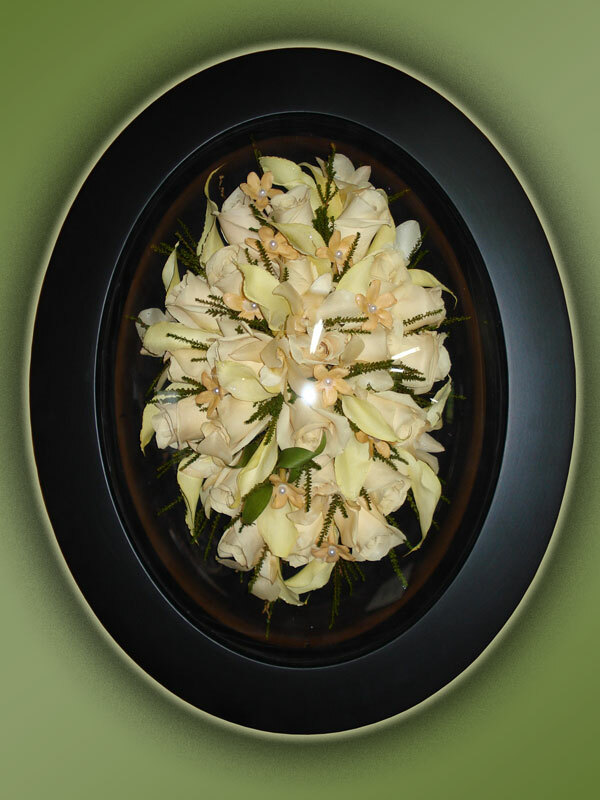 I am usually available on Sundays to take in your bouquet as long as prior arrangements are made. Events are not limited to weddings. Many bring flowers to me after the death of a loved one. There is comfort in saving memories in this exceptional manner. Oh, and let us not forget the mother of the bride or groom, bridesmaids…or Homecoming and Prom? Perhaps you wish to save your first roses from a special loved one! Truly the list could go on and on. 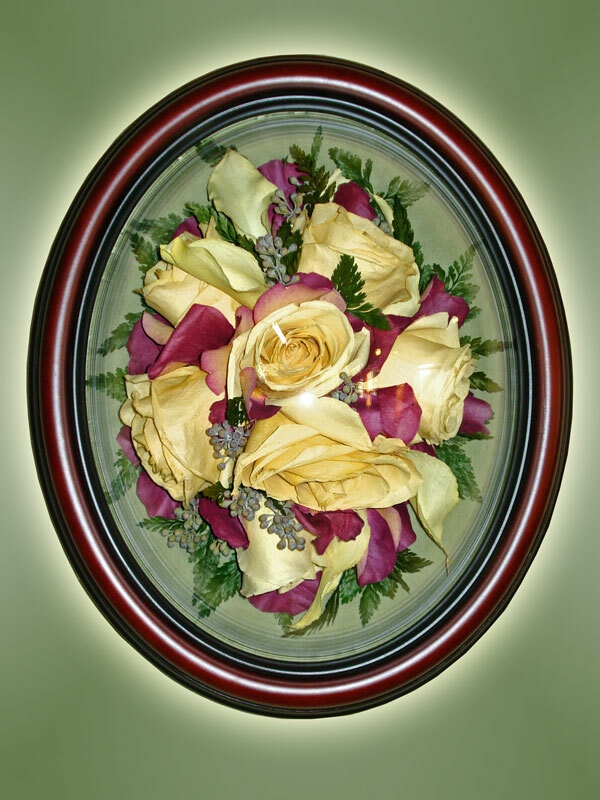 Just know that, no matter the occasion, I am here to help create an exclusive keepsake for you. 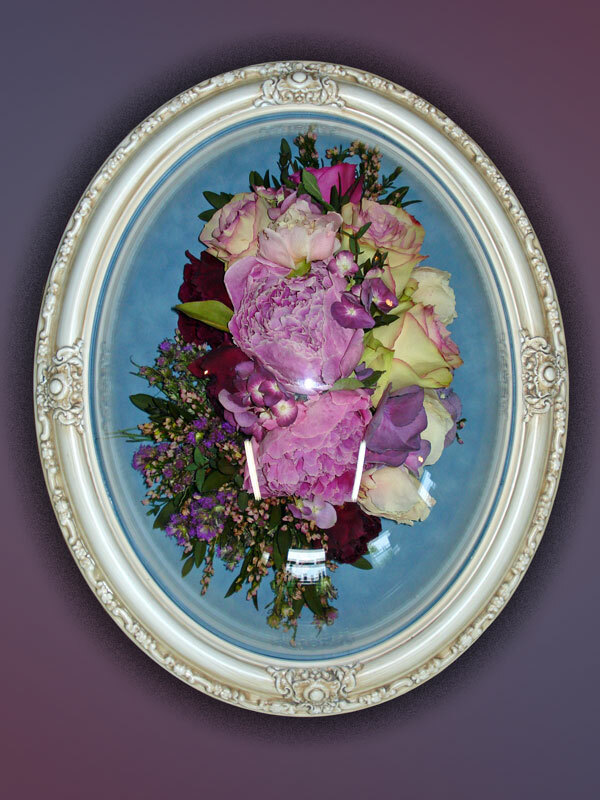 Shadowboxes – a perfect way to display your finished arrangement. There are many to choose from to fit your taste. Please feel free to contact me and I will be happy to answer all your questions. Not interested in a shadowbox? No problem! Perhaps you would prefer a wreath, topiary, swag or centerpiece. 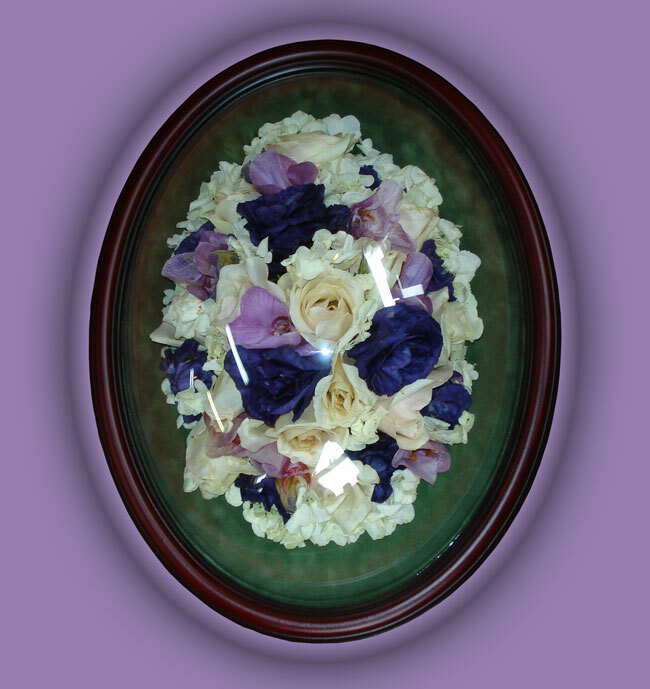 We have also added 3 sizes of glass boxes that are absolutely perfect for smaller keepsake arrangements. Oh…….the possibilities are endless.